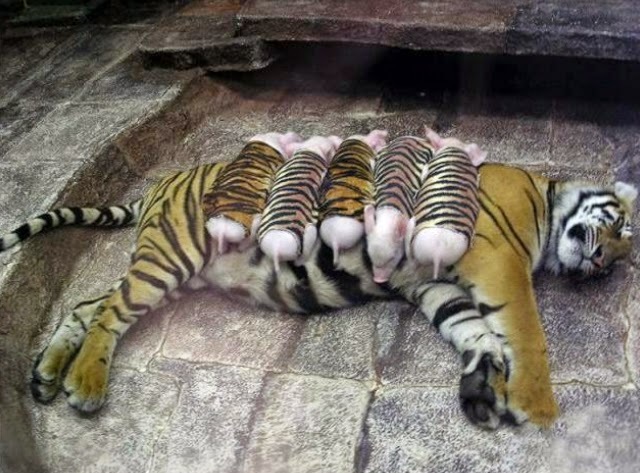 A tiger mother lost her cubs from premature labour. 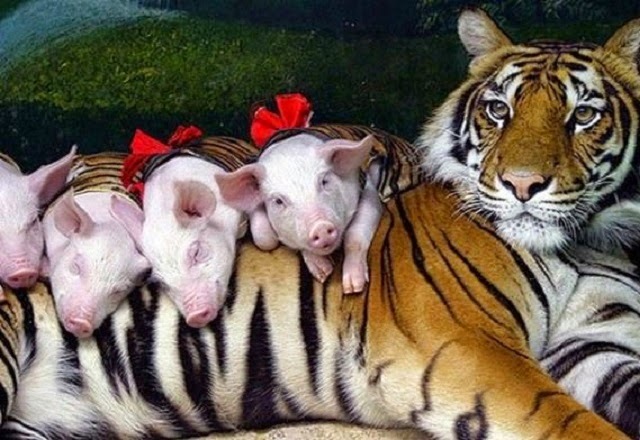 Shortly after she became depressed and her health declined, and she was diagnosed with depression. 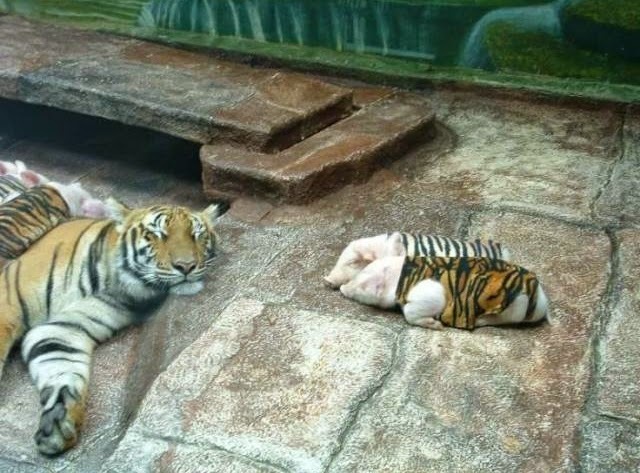 So they wrapped up piglets in tiger cloth, and gave them to the tiger. 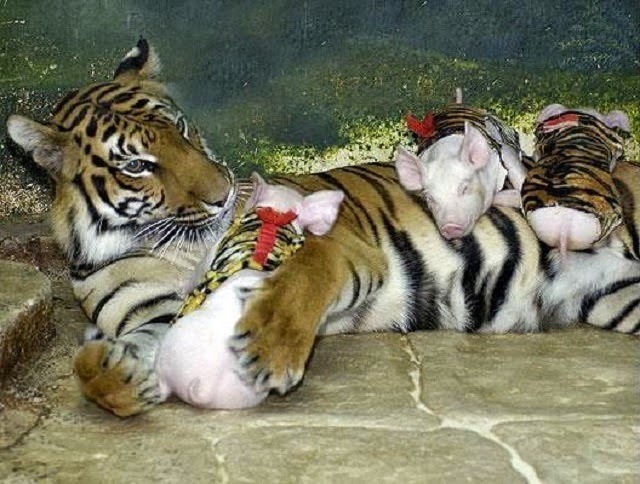 The tiger now loves these pigs and treats them like her babies.